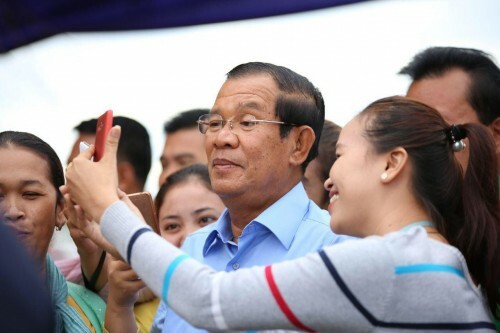 Cambodian Prime Minister Hun Sen told garment workers to prevent the spread of HIV/AIDS, addressing to 30,000 workers from 25 factories in Kandal Province’s Ang Snoul district. He reminded that back in the day, many deceased by AIDS, today by traffic accidents. He urged drivers to be cautious and respect one another; and urged workers to maintain peace and political stability in order to secure employment and stability of income like today. By 2017, at least 572 were infected by HIV and that medication had helped 85% of the victims, according to a report from the Ministry of Health. Among the 58,516 HIV-positive who registered and received treatment at hospitals in Cambodia, 26,855 is male and 3,408 is children aged from 0 to 14 years old, according to the National AIDS Authority.